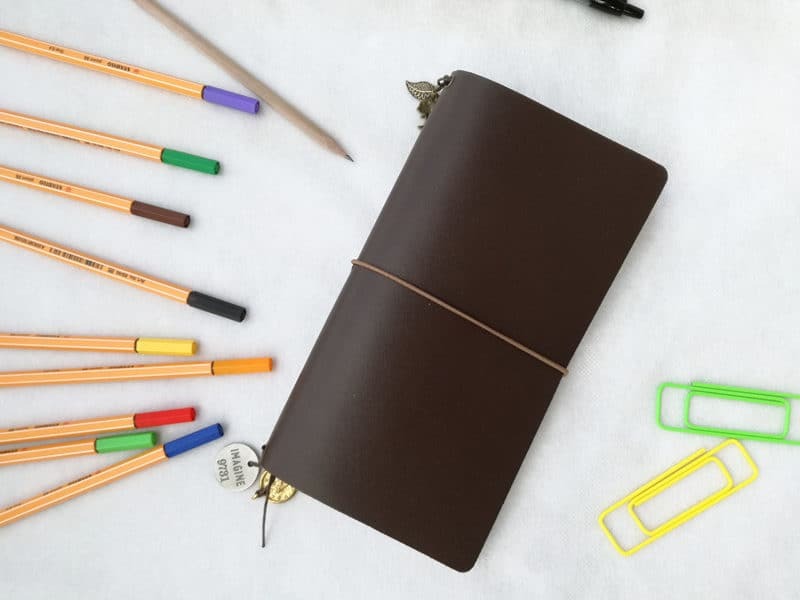 A traveler’s notebook can be a flexible and enjoyable way to record your life and manage your schedule. Check out how Alice organizes hers! Hi, everyone! Alice here, from the Geeky Burrow. I don’t know about you but I’ve always been a bound notebook kind of girl. That is, until I discovered the planning community on Instagram. It took a couple of years, but I finally joined the Traveler’s Notebook club last Fall, when a dear friend of mine gifted me a pretty brown leather one. One of the things I like about this system is that it can be whatever you want. And once you finish an insert, you just start a new one without having to shelf your entire notebook. It’s a great system, especially if you’re like me and you get scared about using a big, thick notebook. Also, I get bored very easily and I find it awesome to be able to switch inserts pretty quickly. One of my biggest struggle with the Bullet Journal has always been future planning. 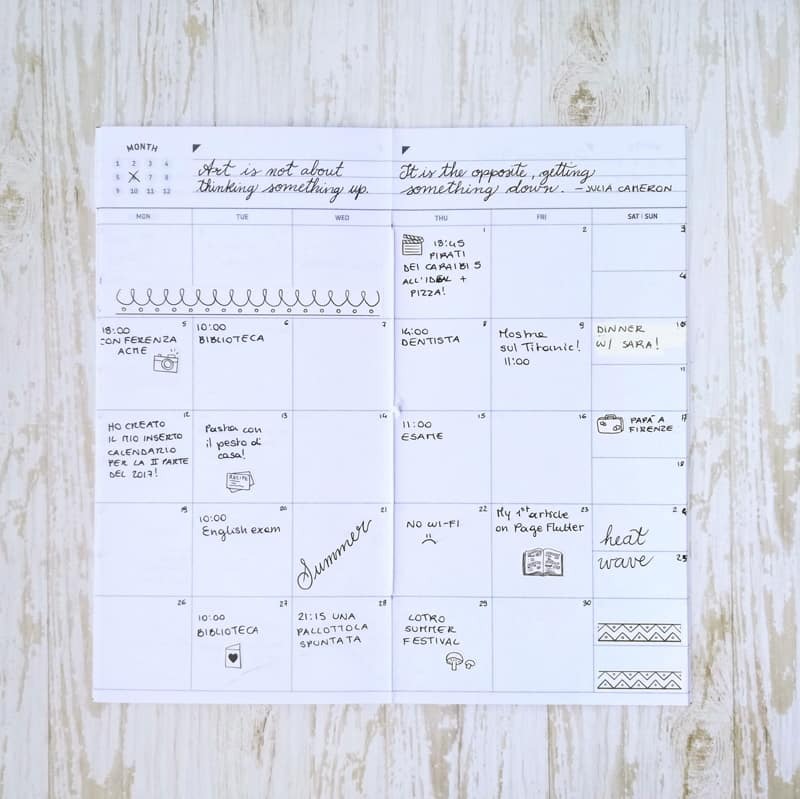 I know, the traditional Future and the Monthly logs are made for that and I really like to use them for events and appointments, but when it comes to tasks, I find myself in need of more space. 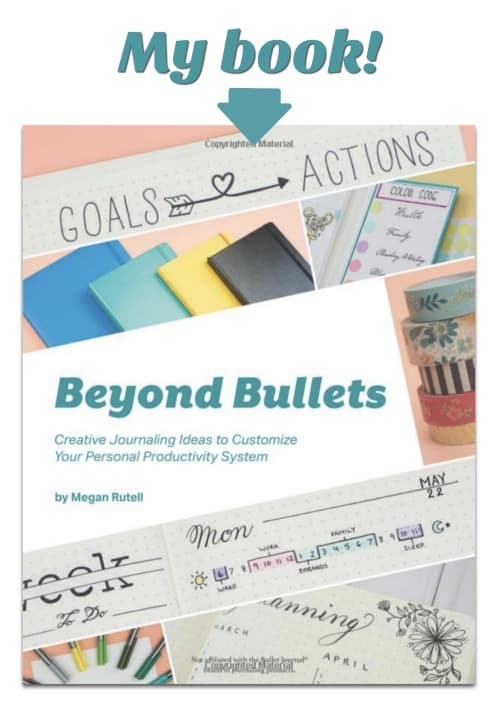 Tip: If you want to try different layouts for future planning, be sure to check out Megan’s post. 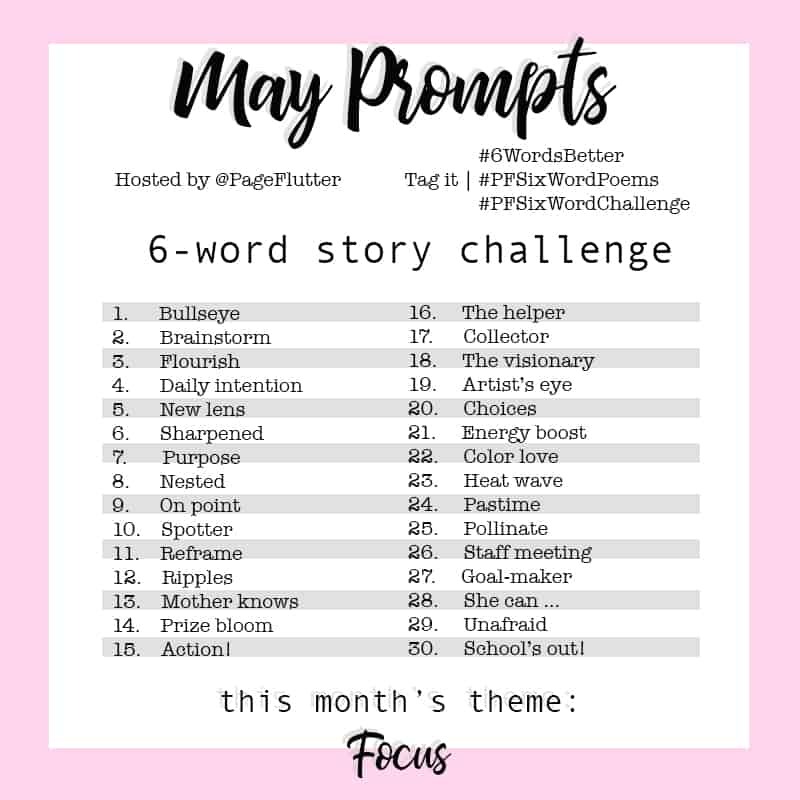 It gave me tons of inspiration! However, being a planner lover since elementary school, I decided to use my Traveler’s Notebook for that. The way I’ve set it up is very simple, since I wanted to test this method for a couple of months first. That way, I could decide if it works for me before investing in additional TN goodies. Then I have a simple grid paper insert. I found this one at Flying Tiger. It was super cheap and the paper quality is still great for gel ink pens, even if the color of the paper is a bit too yellow for my tastes. This is where I scribble random notes and lists, things that I need only for a short amount of time and I don’t care to keep inside my Bullet Journal. Tt’s like a scratch pad. Finally, the third insert is my favorite one. It has a month on two pages layout. I purchased it on Etsy, and it’s an undated one so I’ll be able to use it again next year. Initially designated for my big plans and monthly overviews, it ended up becoming my little memory planning project. 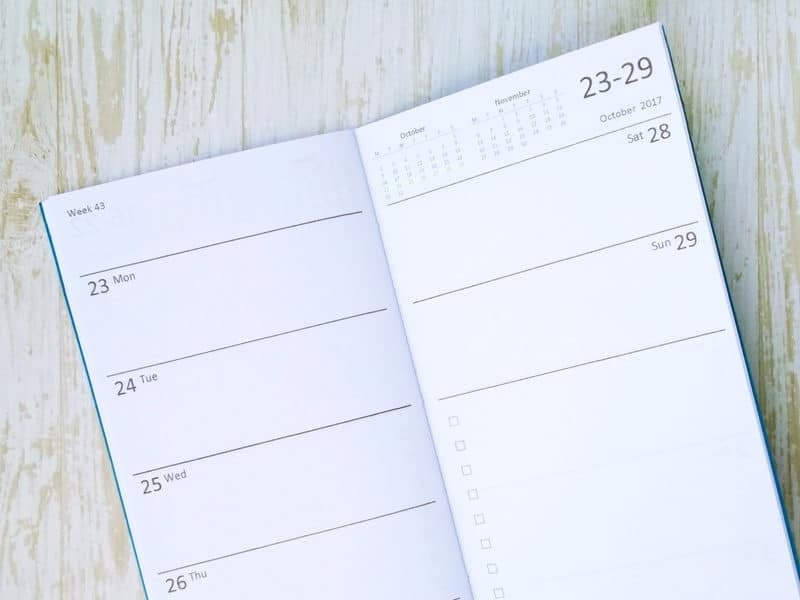 At the beginning of each month, I usually add events and appointments I’m sure are going to happen, in order to be able to see my month at a glance. Then I like to come back to it later and add little notes about things that happened during the month. Nothing too complicated, just a word or a short sentence. I’m not a big planner decorator, but I like to add some stickers here and there to make my spreads prettier. My favorite ones are from the BohoBerryPaperie shop on Etsy, I like the black and white look of my months in this insert. After six months using this method, I can say I’m still happy with my Traveler’s Notebook. It’s like journaling with zero effort and it will be nice to check it again in a couple of years and remember what 2017 looked like. Anyone else have trouble getting down to one notebook? Do you prefer memory or functional planning? Or maybe both? Drop me a comment down below! My planner has always been pretty basic–in fact, it’s mostly in pencil! The fanciest I’ve gotten is to do a heading in colored pens now and then or to draw in some colored stars and asterisks for special occasions. A few quirky stickers had begun to sneak in when I needed a little more pizzazz. She’s modified the book restorer’s technique of “tipping in” items like photos and memorabilia and journaling cards to create more “real estate” on her planner pages for journaling, documenting significant events, etc. And now I jazz up my pencilly planner with all sorts of images and stories. This is not earth-shattering news, but it makes me much happier when I open my planner every day! I’m a fan of both hard bound notebooks & Traveler’s Notebooks too, and I think it’s great we’ve got so many options to choose from! Thanks for sharing your system! Thank you for reading my article! Yes, I love them all too and it’s very hard to pick a favorite!